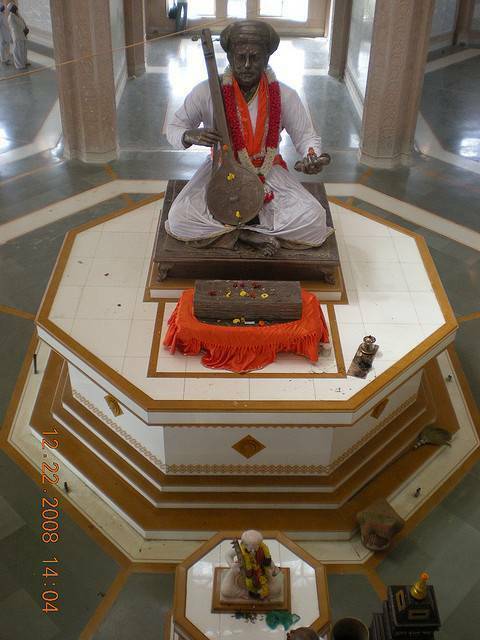 Saint Tukaram was born here in the town of Dehu. The temple is located on the banks of the Indravati river and it’s very popular for the Mandir alone. The saint Tukaram was composer of “Abhangas” – a form of devotional poetry. You’ll find much of his poetry in evidence at the temple and complex, indeed it’s one of the best in India.